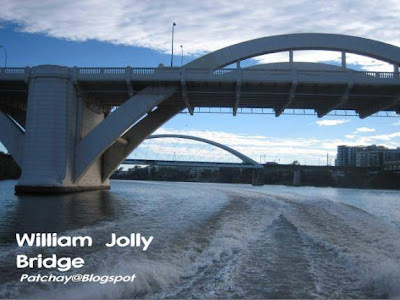 William Jolly Bridge and a railway crossing bridge behind. 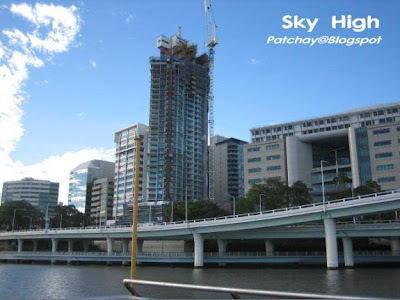 My first glimpse of glassy skyscrapers and construction cranes when coming from Toowong area. 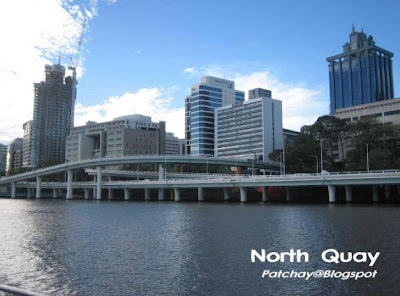 There's a ferry pier here called North Quay. The main expressway (that can lead you all the way to Gold Coast and Sydney!) that cuts through Brisbane downtown is elevated by the riverside. 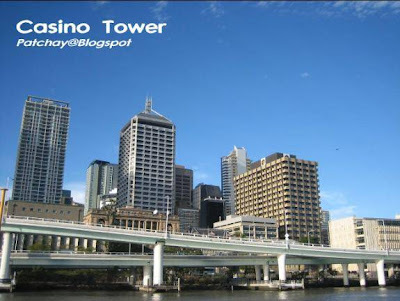 This is considered the most popular part of Brisbane City (I'll show you another downtown area in the next post). Why? Because Queen Street shopping area and the Conrad casino (the brownish low-rise on the left) are situated here. North Quay and Victoria Bridge. 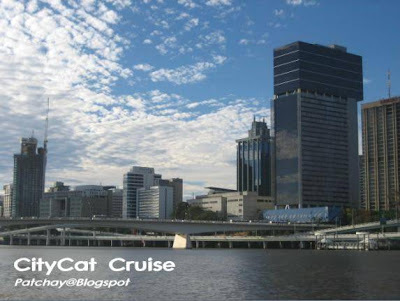 Cruising along the shorelines of Brisbane River is very much to my delight. One thing the wind is quite strong and at one time it almost blew off my cap... haha. 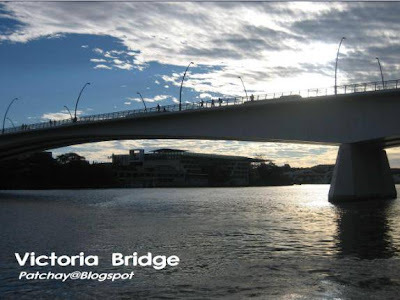 Another motorway crossing - the Victoria Bridge. And one could see the rays of setting sun over the water of Brisbane River. 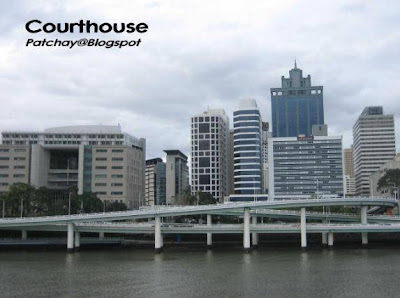 The leftmost and tallest building are the Law Courts of Brisbane. The sky is getting cloudy and dark. So goodbye for now and see you next time! The skies are so blue! The haze is KL is making the skies look dull! 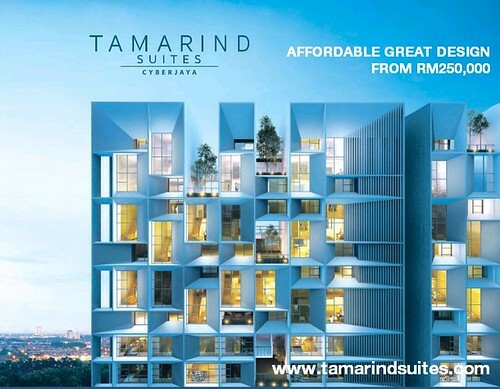 Argh, terasa nak pergi Australia pulak!